Red and Black Ladybugs are all over this Pink Grosgrain Ribbon. There is no tails on this bow so the length is longer on the four loops. This same ladybug ribbon wraps the center in a French knot and it is attached to a French clip. 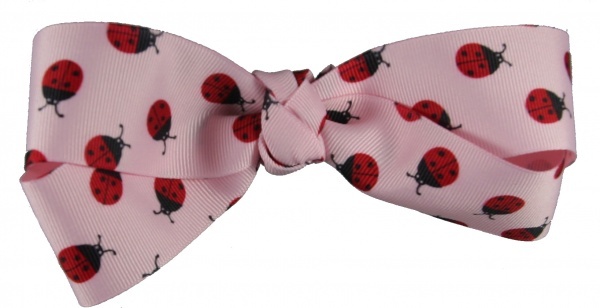 Your little ladybug will be styling with these Ladybugs on this great bow.